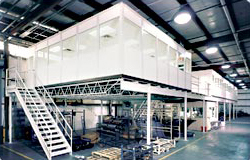 One of the most popular ways to utilize PortaFab's modular building systems for creating space is to set modular offices on a mezzanine. 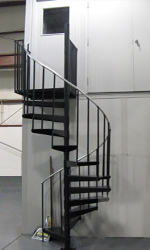 This popular option frees up the plant floor while allowing multiple uses for the floor space underneath. As a single source supplier, PortaFab provides greater engineering control and enables us to coordinate all aspects of the project with our distributors. 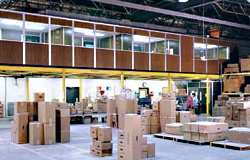 The result is a fully functional installation delivered complete and on time.